Just came across this 'hidden message' on a Queens of the Stone Age gig poster on reddit https://i.imgur.com/kyg7gUi.jpg. Made me wonder how often artists sneak in things like this - anyone have any good examples of hidden messages on posters? Several artists are known for their tendency and/or ability to insert varieties of messages or pop culture references. 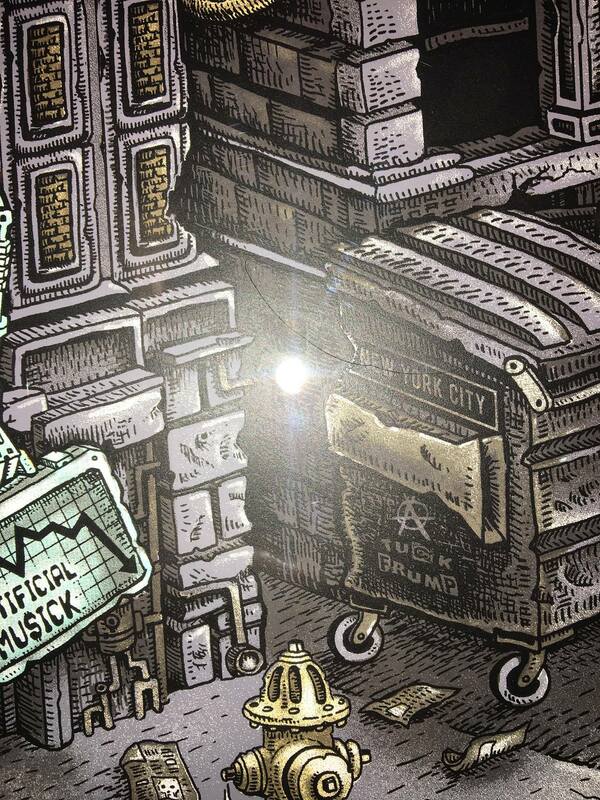 EMEK is probably the best known, but there are many others. Jermaine Rogers did it often (less these days than in his earlier work). Kozik, of course. Ward Sutton. Brad Klausen. Various Pearl Jam artists over the years. More a question of knowing which prints to look in/at to find them.